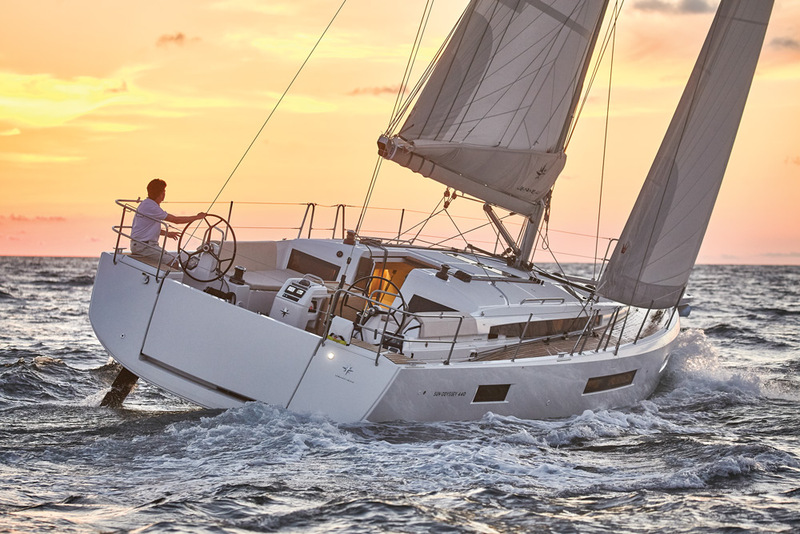 The Jeanneau team added several features to the Sun Odyssey 440 that transform the boat into much more than a standard cruiser. The inclined sidedecks that slope down to the cockpit is an obvious change, and facilitates movement around the boat. The custom cushions convert the cockpit into an oversized lounge area when at anchor, and move out of way to facilitate access to the twin helms and sail controls. The interior options include a two- or three- stateroom layout. LOA 43’11”; Beam 14’; Draft 7’2”; Displ. 18,874 lbs. ; Sail area 972 sq. ft., www.jeanneauamerica.com. Scheduled show: U.S. Sailboat Show.